There will always be an endless supply of presentation solutions to choose from, the real questions that everyone should always consider is “which one is the best to choose from?” and “How to choose a perfect projector for conferences?”. That’s where this article comes in to help summarize which makes the system so great as we highlight certain aspects that will amaze everyone with their innovative ideas and views on the business world. 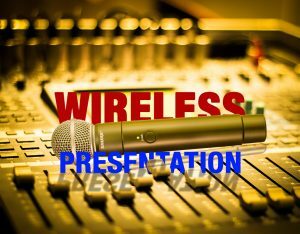 For those people who have no clue what a wireless presentation is pretty self-explanatory as it’s all written in its name, but we’ll give a brief description to help those who need the extra explanation. When it comes to presenting the key importance is everything running smoothly, when connecting onto a screen in previous years the use of an HDMI cable was the number one necessity that was needed to display someone’s laptop desktop onto the screen, passing around the HDMI cable to whoever needed to display after. The whole process was much longer and time-consuming, whereas technology through time has progressed to the point of no longer needing a cable to connect a computer or any other portable device onto a screen to present their work instead, the connection is made through wifi making the whole progress much easier and quicker to get through. Now, what is a good wireless presentation system to be highlighted for everyone to see and be more aware of for future references? In my opinion, a system/software that has always stood out to me for their innovative and exciting new ways was always Mersive, with their system being called Solstice. It’s very intriguing and leaves you wanting to see more attractive features that it holds. The interesting part about Solstice is how it’s possible to work one of two ways, first being to buy the software license in which you will have to install it onto your Windows computer, the other option is to buy the Solstice Pod which is the software-hardware console. The overall idea behind Solstice and the Pod is for it to be a wireless collaboration solution to accommodate with presenting and not only being more engaging but highly effective during meetings. Being able to wirelessly share content and somewhat being in control of what is being shown on the screen. Moving onto some of the features that Solstice holds, the whole concept behind it is to help improve meetings and presentations that would constantly result in many problems resulting, from connectivity, wires being damaged and so on, in other words, the whole process prolongs and disrupts the overall workflow that should be taking place. Multiple users may share and contribute an unlimited amount of content, as well as making it possible to do it in a number of different locations throughout the meetings at the same time. Being able to make adjustments on the size, rearrange and stacking of content being displayed, the types of files that were shared as well is practically unlimited as images, share the screen, videos, camera, pdf files and much more can be shared nonstop. Through being able to share all this content during group meetings, the communication level through visually being able to see all content that is constantly being spoken about improves the understanding between everyone and everything that is being spoken. A disadvantage that comes to my mind is the fact that the software license and Solstice Pod cannot be installed onto a Mac device, but to install the client software of simple connection onto the screen can be done on all available devices from, Windows, Mac, IOS, and Android. A big advantage that would and should be specified on is how it helps the workflow and makes it more time efficient as everyone would be more productive. 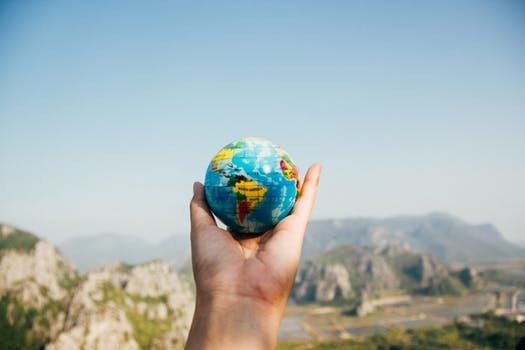 As well as even if people are sharing content in different locations, the content shared will not be lagged and will make it much easier to communicate with the different groups during the meeting. Another point to keep in mind is how the collaboration and mutual understanding increases a lot which would result in the job completing much faster. If the network that the system is set up on isn’t very strong, the probability of everything loading is very low and prone to constant lagging throughout the use. This is a major disadvantage and good to keep in mind to see whether your network should be improved or not. A not very mentioned or thought about use apart from being used for business/office related work using it during universities, high-school or even middle-school, bringing the students and teacher closer and simplifying checking up on set assignments. As in universities and high-school today many of the classes involve the use of a laptop or computer, through the connection of Solstice can make tracking the students work much easier and more efficient during class. The content that the students share have to be approved and constantly be monitored by the teacher before it is displayed, this is due to making sure all content is appropriate for everyone to see. Finally, the most obvious advantage of all is how the software is very innovative and fairly new for the market to see, this sets the standards very high and making new up and coming software hard to compare them too. Once put to the test the results were impeccable with no problems, from either lagging or some sort of faultiness. The fact that it shares content and its security behind it bring a lot of much deserved positive attention and reviews, though it is mostly highlighted for business purposes the fact that it can be used during school assignments and projects has brought more attention to them as a whole. Using Solstice by Mersive has been constantly growing in the market and shows no signs of slowing down anytime soon. Searching for a demonstration to get a better view and understanding of the system, search for the nearest supplier or distributor to you. Previous: How to Choose a Perfect Tire Inflator and Use Safely? TrueGether Blog > Blog > Electronics > What is a good wireless presentation solution?